So the design team is going to take August off (a well deserved break for them) – I can’t believe I’m so lucky to have such talented people designing cards for my blog!!!! So I thought I would do something different this month and do things other than cards. 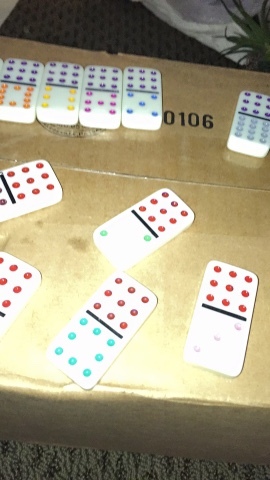 My friend has a game called Mexican Train Dominos that we play at her house. We have a hard time because two of the colors are very similar and every time we play we say we wish it was q different color. 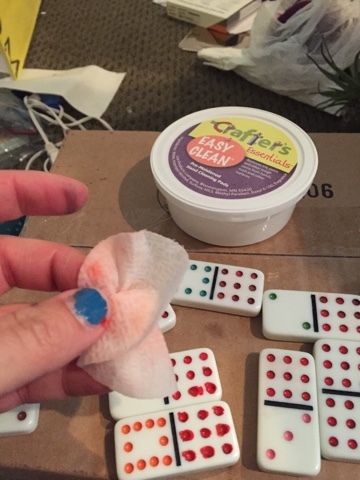 So last weekend I took her dominos home to solve the problem! We cleaned the dominos with Lysol wipes to make sure they were clean. Then i picked a paint & paint brush and painted them. 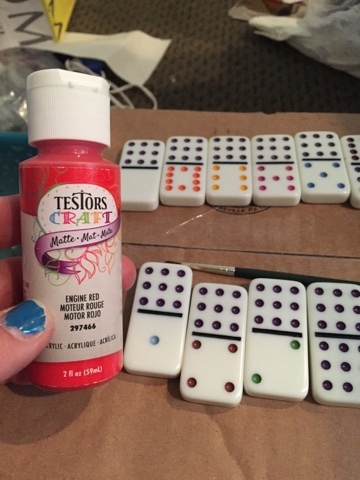 I was a little messy with the paint so I used crafters essentials to clean up any excess. The paint worked great. This was a fun quick little project and should make our game playing more fun! Hope you enjoyed my tip!